What is the Project Properties window? 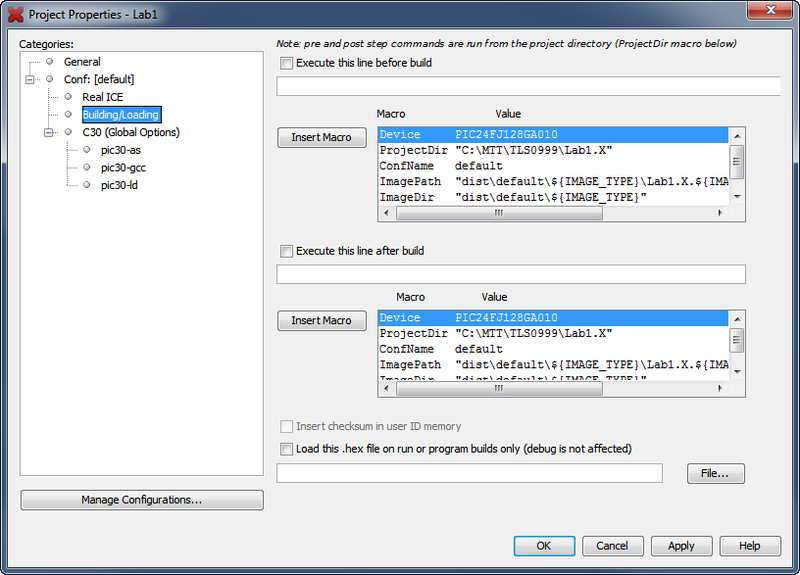 The general category provides a place for you to include additional source code directories for the IDE to search when the code is not found in the top level of the project folder. This is the category that will be selected by default every time you open this window. 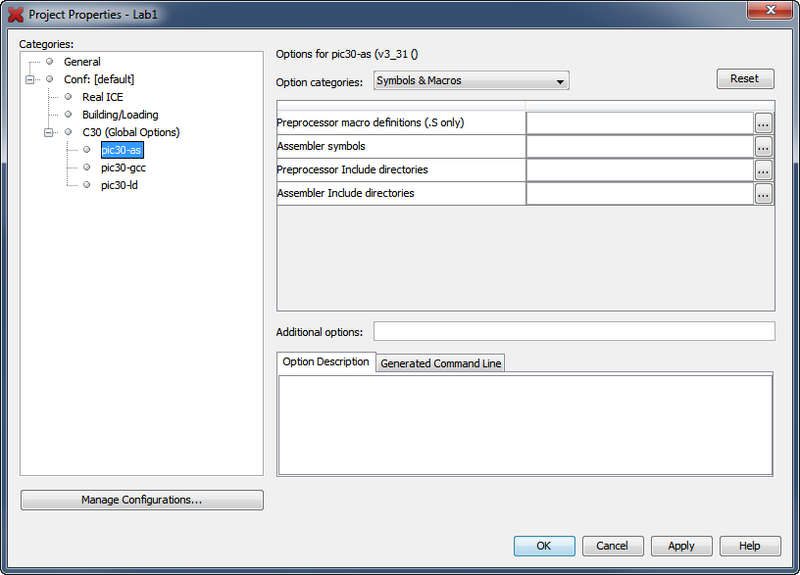 The default configuration is where you select the microcontroller, debugger/programmer and build tool (compiler or assembler) for the project. All of the other categories below this one are tied to the selections you make here (notice that they are all indented one or more levels in the tree structure of the category list). A project will always have at least one configuration which will be the default. However, you may create multiple configurations to suit a variety of scenarios for building the project. 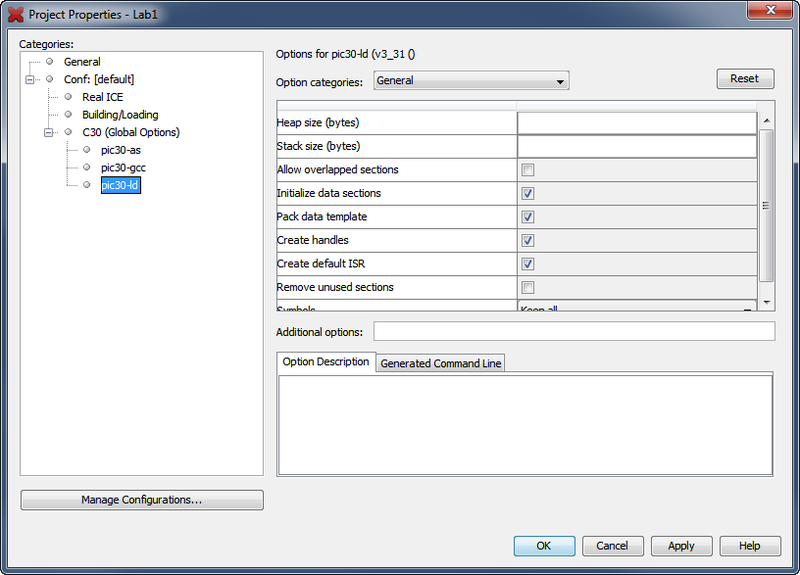 This category's title will change, along with its contents in the right hand pane depending on which hardware tool you have selected in the configuration node above. 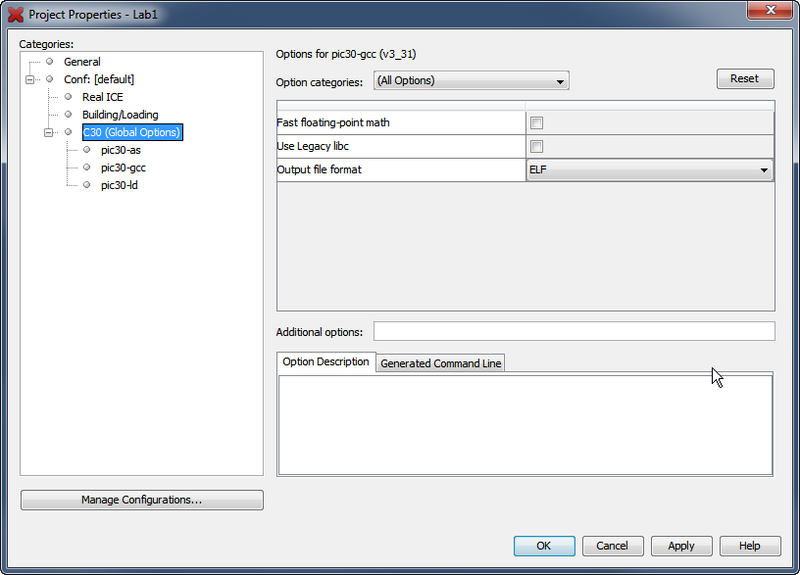 The contents of the right hand pane will vary greatly depending on which hardware tool you have selected (such as MPLAB ICE3, REAL ICE, or PICkit 3) or simulator. 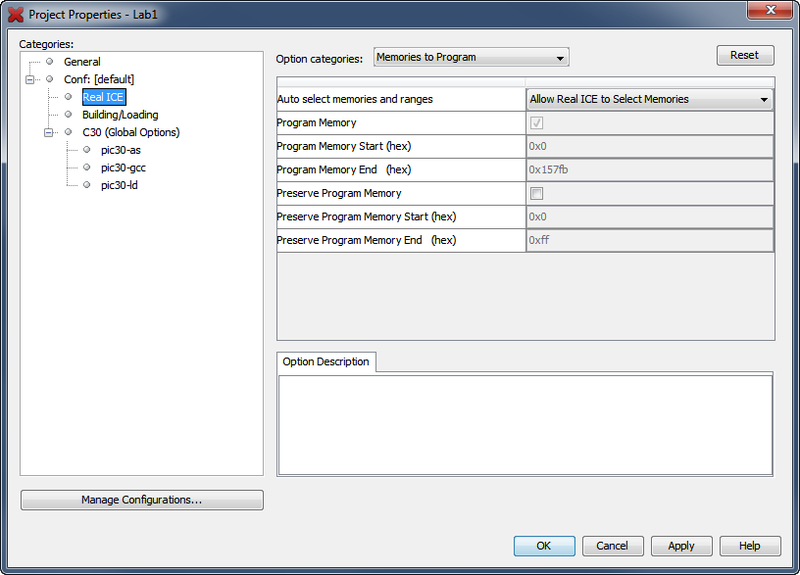 As a general rule, things like memory ranges to program, voltages, clock sources and speeds, and a variety of other debug options may be controlled from this category. 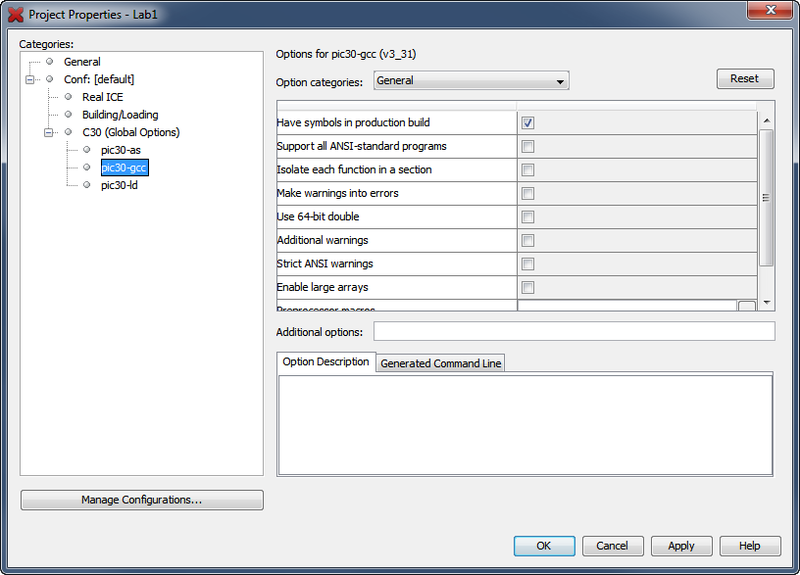 This category is used to select macros or scripts to execute before and/or after building the project. Most of the time, this won't be used. But when you need to add a little extra functionality such as copying or moving some files around before or after the process, this feature helps to automate the entire procedure. 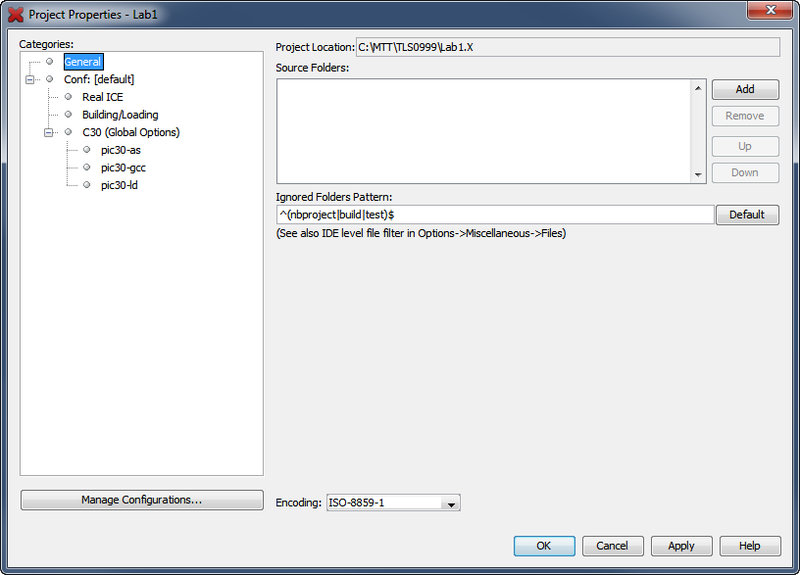 The compiler suite's global options contain settings that apply to the entire compiler toolchain and will affect the entire build process as a whole. Assembler settings provide full control over how the assembler builds your code, references files, and what information it should provide as its output. The compiler settings provide full control over how the compiler builds your code, optimizies your code, and which memory model it uses. 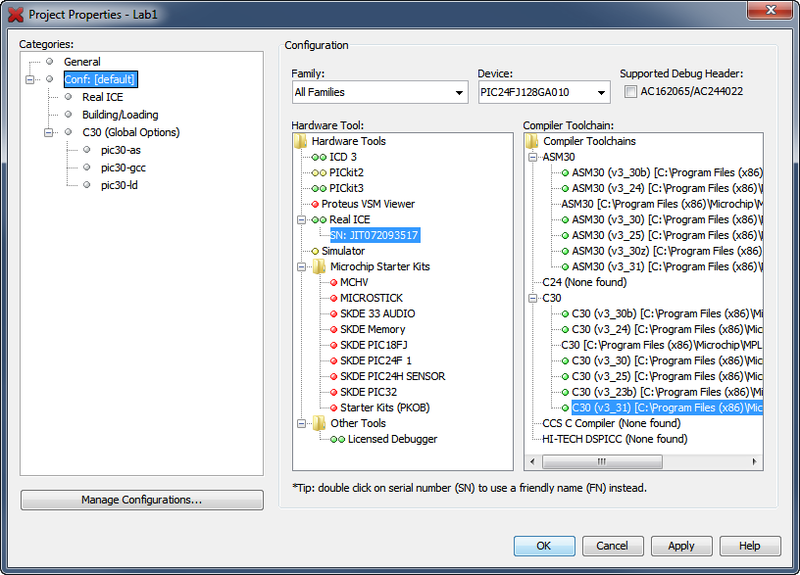 The linker settings control the overall build process, locates and integrates library code and specifies which diagnostic outputs are desired.